I'm going to start with a confession, I've only seen the original Blade Runner maybe two or three times. I like it and can appreciate the impact it has had on Sci-Fi and the influence it has had on cinema in general. That being said it's not one of my favourite films. The sequel is definitely a film for the fanboys. The film starts with a quick summery of what has happened in the interim since the first film. 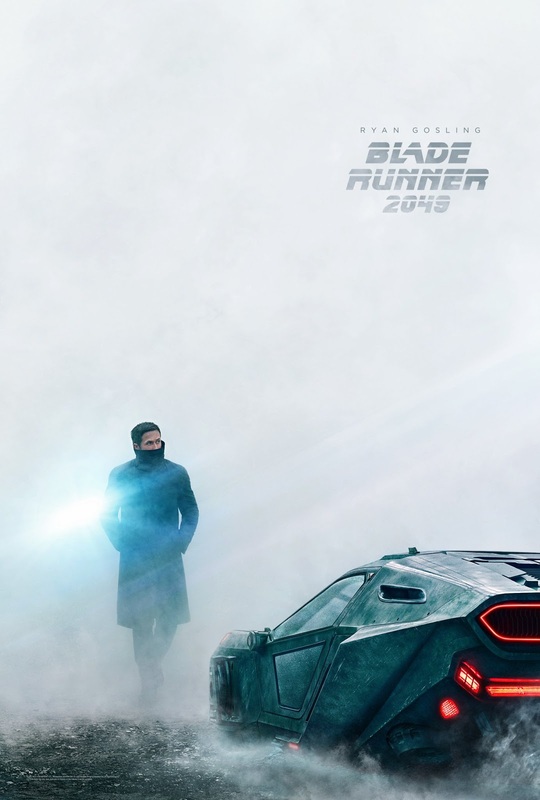 The Protagonist K (Ryan Gosling) is a Blade Runner who is tracking down a replicant (Bio-engineered Humans used for labour) who has gone on the run (Played by the hulking behemoth that is Dave Bautista). Straight away we find out that K is also a replicant and once he has found and retired (killed) the replicant he is looking for he find something buried by a tree that gets the film going. A replicant has died in childbirth. K heads back to check in with his superior (Robin Wright) and is tasked to track down the child and retire it as the consequences of replicants reproducing would cause anarchy. We then see K go home where his only company is his In House AI, a hologram, called Joi (Ana de Armas). I liked the relationship between K and Joi but I did feel that I had seen this concept before in 2013's Her. I did however like how it explored how in house AI such as Alexa and Siri might evolve in the future. 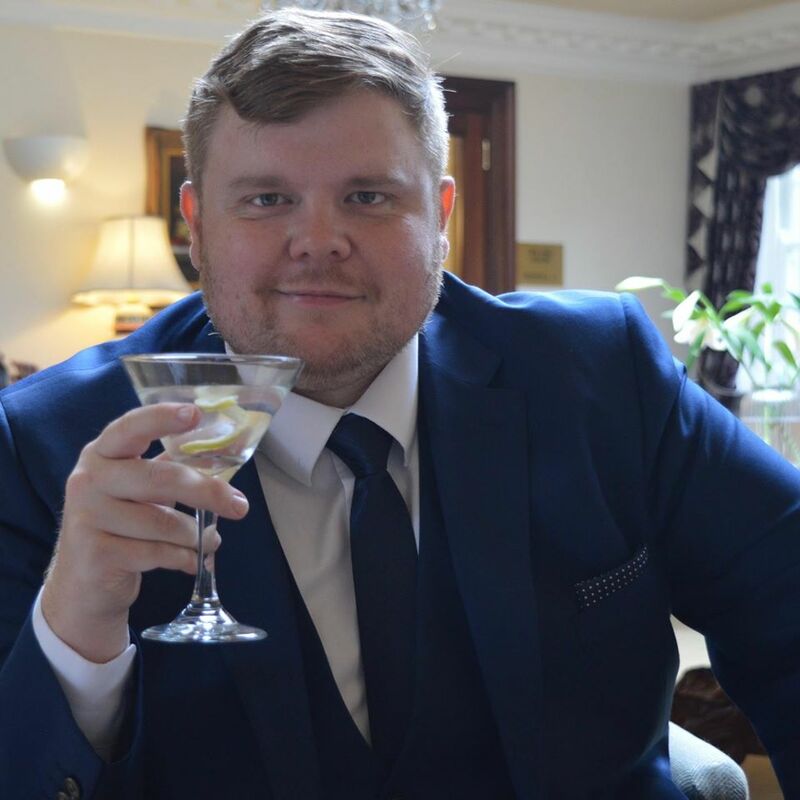 The film explores themes such as what it is to be human, whether it is the fact we are born that makes us human or if it is our experiences and memories. K wrestles with memories he has as he is not sure if these are true memories or if they have been implanted to help him make better decisions in the line one work he has been designed for. As K investigates he meets Luv (Sylvia Hoeks) another replicant who is the PA for Niander Wallace (Jared Leto) whose company now makes the replicants. Luv I found to be quite a boring one dimensional character as she didn't really do anything other than kill people in her way. Wallace was a bit more interesting as a blind, mad scientist who can see the benefit of replicant that can reproduce. 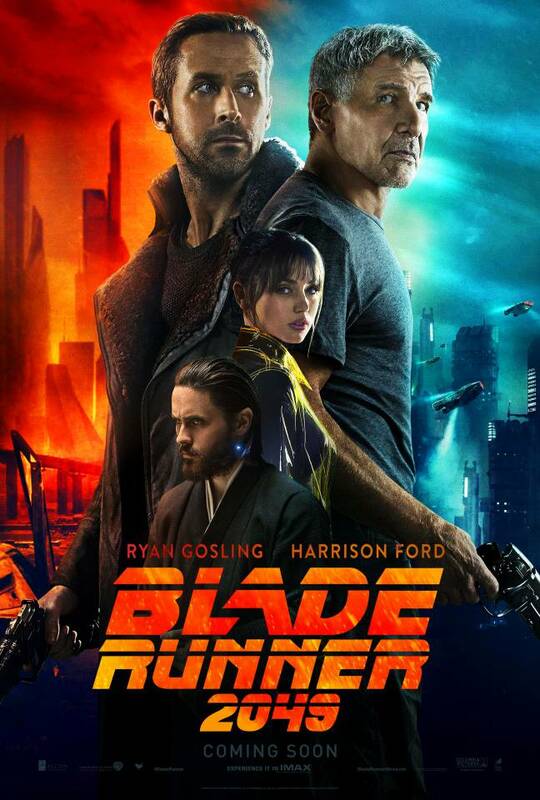 As both K and Luv try to find the replicant child they track down Rick Deckard (Harrison Ford) who has been living in hiding in a run down hotel and eventually Deckard is taken by Luv to Wallace who makes him an offer to help find the replicant child. Some of the performances in Blade Runner 2049 are really great, Ryan Gosling plays K with the brilliant angst of his torturous existence. Ana de Armas also puts is a good performance as naively innocent Joi. There are a few performances that don't hit the mark, mainly Harrison Ford. It feels like, as with his return to Star Wars and Indiana Jones, there just wasn't the same effort put onto the part as there was first time around. The tone and pace are very much in keeping with the original. The aesthetics are spot on and I think this film is one of the most visually stunning films I've seen in a long time. The sound editing is also brilliant and you really feel immersed in the world you're presented with. If you loved the original you will love this one. If, like me, you thought the original was good but weren't blown away by it then you will probably find this one OK.
For me film does have some problems, personally I felt it was too slow and a lot of the scenes could have been cut down. My immediate thought when I finished watching was that I could easily have had around an hour cut from the runtime. Also some of the 'twists' I could see coming a mile away and eventually I thought the film was just going the the motions of hitting the plot points. A lot of the reviews I’ve seen have been positive but they are from people I know loved the original. Alan told me he hadn’t seen the original so I can understand why he didn’t like this one. See I'm the opposite, wasn't that keen on the original but loved the new film. I know it was quite slow but I thought the visuals were stunning & the music was amazing - you really can't beat having Hans Zimmer be your composer. Looking forward to Thor:Ragnorak next!